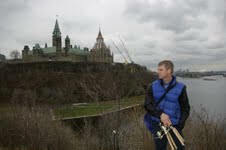 Ottawa has an excellent transit system, ready to whisk you away to most urban fishing locations. With a fleet of 924 buses, there’s no need to drive your car in order to wet a line. Interactive maps and menus will help you locate the bus you need. Bike paths rule this city, and offer an exercise-friendly option for getting to local honey holes.